Remember back before Cyber Monday was a thing? And we had to wait for the Thanksgiving Paper to get here to know what the Black Friday deals were? And we circled them with Sharpie? Yeah, well the Internet changed that at some point. And now I think maybe our bosses know not to check our Internet Traffic on the Monday after Thanksgiving (and maybe not the rest of the week, either). Because, Internet? You’ve spoiled us! 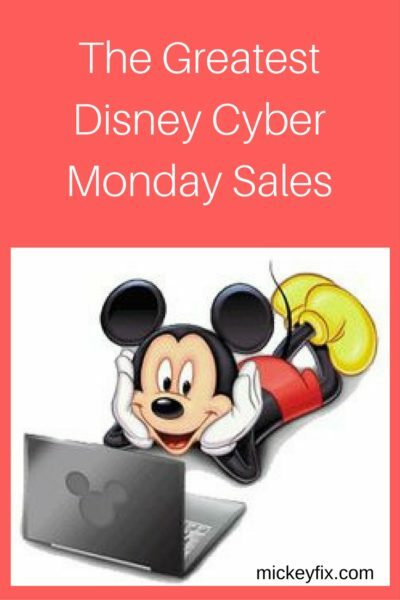 Check out some of the Best Disney Deals we could find on the Internet for Cyber Monday and Cyber Week! Fantastic deals to be had at shopDisney starting today! Spend more and save more when you use code CYBER! Sale ends Monday, November 26! UPDATE: Cyber Monday sale extended through Tuesday, November 27! Everything you need to know about Amazon Cyber Monday and Cyber Week sales. Because, hey, if they want to turn Cyber Monday into a 7-day event, we’re down with that! Grab an extra 15% off MOST OF THE STORE at the Target Cyber Monday sale! This offer only lasts thru the end of Monday, November 26. UPDATE: Cyber Week has begun at Target, with 30% off select home goods on Tuesday, November 27! This is an online only deal. The Walmart Cyber Week sale starts TONIGHT at 8 pm ET! Let’s Go Shopping! Jane is one of our favorite online shops for fun pop-up sales that only last a day or two. 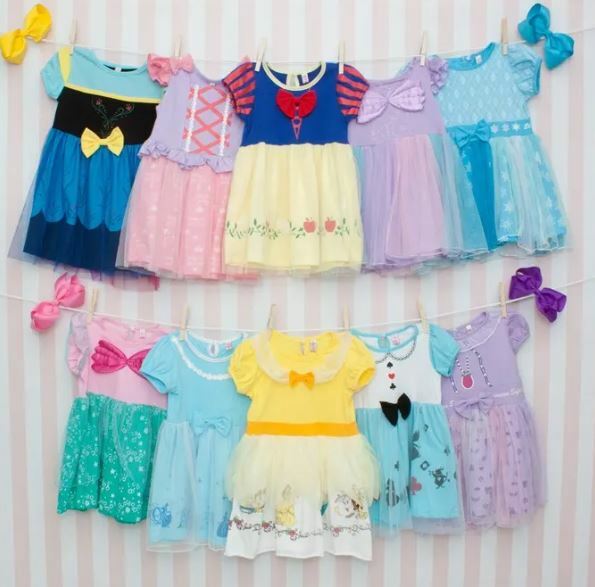 For Cyber Monday, they’re running an extra-big sale on fun finds like these extra-soft Tiny Disney Princess Dresses! Grab super fun gifts for the geeks in your life at the ThinkGeek Cyber Monday Sale! Find stuff for fans of Star Wars, Star Trek, Harry Potter, Stranger Things, Marvel, and MORE! UPDATE: ThinkGeek has begun their annual Four Daily Deals, which are revealed each day at 10 am. You can find lots of fun and out of the ordinary gifts by checking in on these daily up until Christmas. 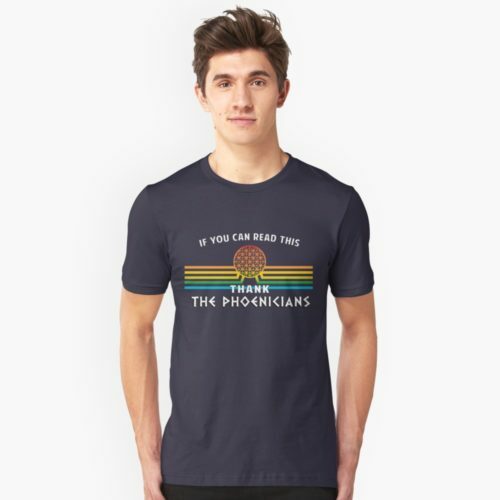 We love Red Bubble, because where else could you find a Thank The Phoenicians Tee? Plus, they have great cell phone cases, bags, and sweatshirts with awesome designs, too! Be sure to visit MickeyFix.com for the best Disney finds on the Internet any ol’ day of the year! Plus, we’ve got Holiday Gift Guides and How-To Guides out the wazoo!